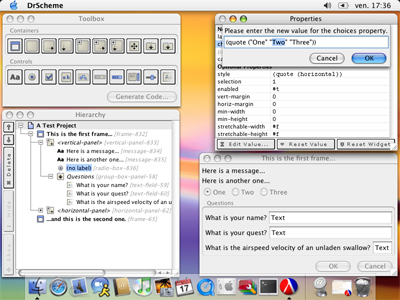 MrEd Designer is a GUI designer I developed during my second year at the university. 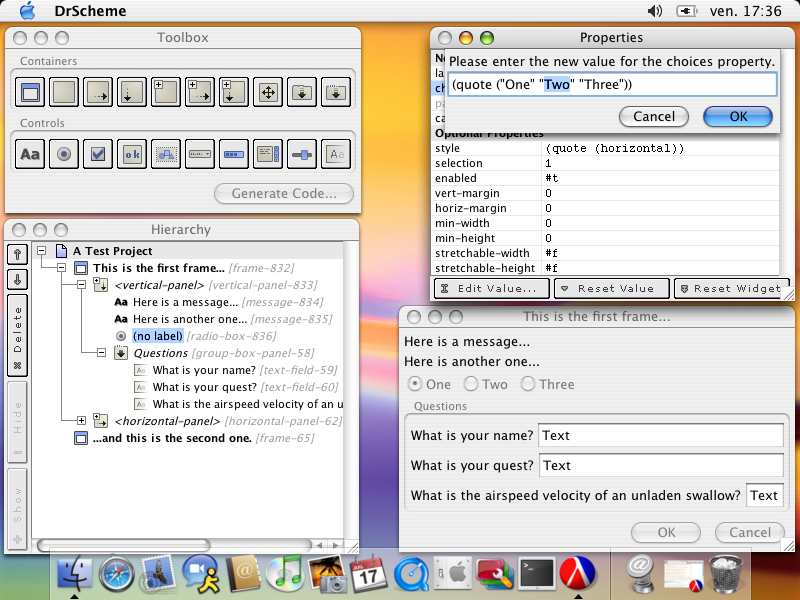 The idea was to develop a tool similar to (albeit not so feature-rich as) the Qt Designer for the MrEd graphical environment. MrEd Designer 1.0 was designed to run under DrScheme 206p1 and crashes with the newer versions of DrScheme. I received a lot of e-mails from people asking me whether I would release a new version. I don't have any more time to spend on this project, but Peter Ivanyi released an updated version based on my source code in July, 2007. He now maintains the project. The original website for this project can be found here and the new one, maintained by Peter Ivanyi, can be found here.